Answer the CALL OF THE WILD! 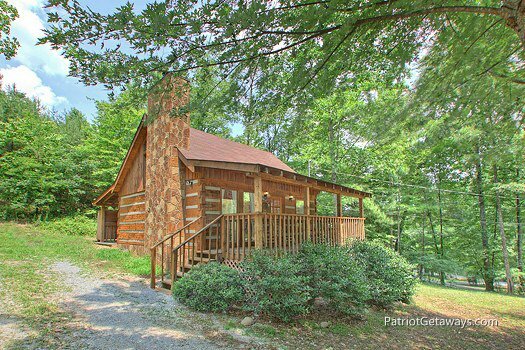 This wonderful Studio cabin is the perfect location for your honeymoon or any romantic getaway in the mountains. 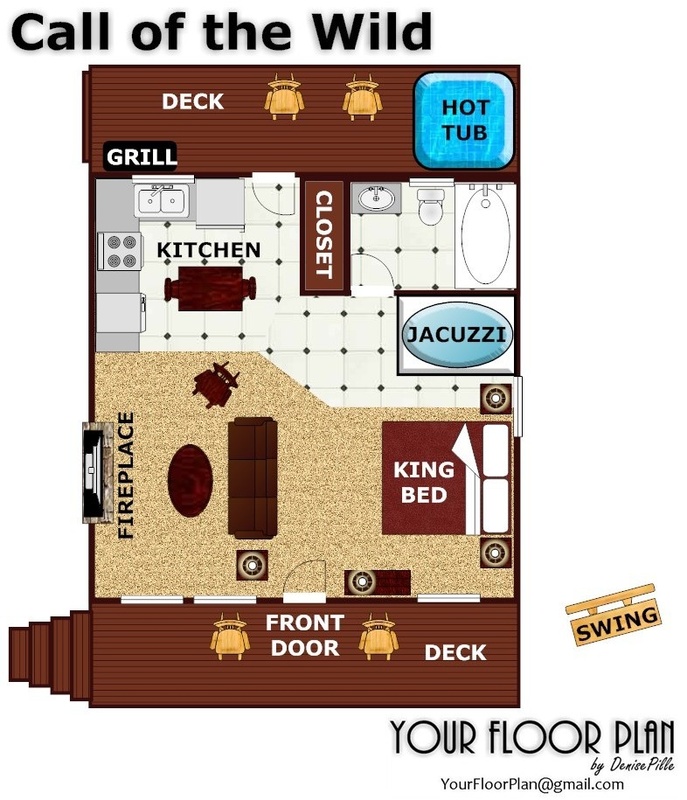 With all the amenities you are looking for in a vacation home and more, a fully equipped kitchen, Hot Tub on a covered deck, plenty of mountain charm and lots of privacy. 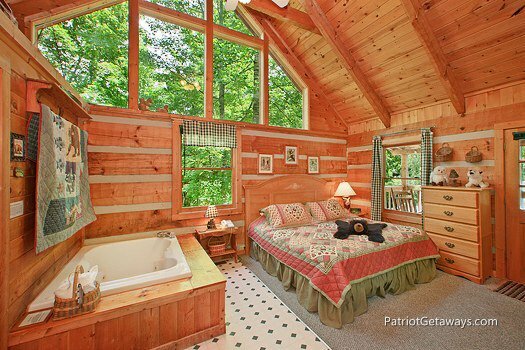 This custom built honeymoon cabin is just what you are looking for. 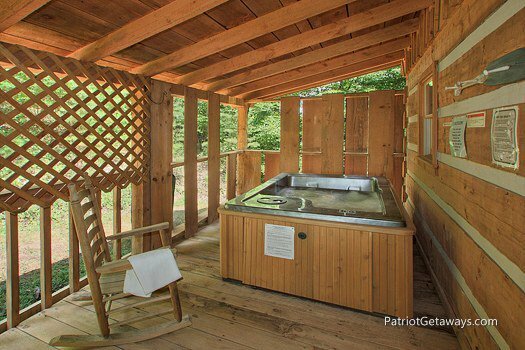 Enjoy a relaxing evening soaking your cares away in the wonderful and private hot tub or just relax in one of the rocking chairs on the front deck. No matter what you do, answer the call of the wild and enjoy a Smoky Mountain getaway you won't soon forget. Our stay was fantastic! The cabin was fairly easy to find, easy to get into with the code. Our cabin, Call of the Wild, had everything we needed for our stay. The kitchen had all the necessary tools, pots and pans and various other cooking utensils that weneeded. Everything in the cabin worked as it should. 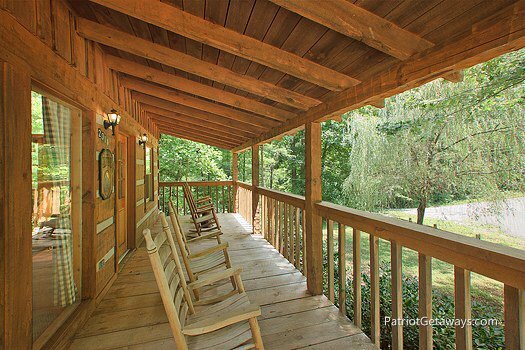 Our location was also perfect, being just a few minutes out of Pigeon Forge we had easy access to everything! 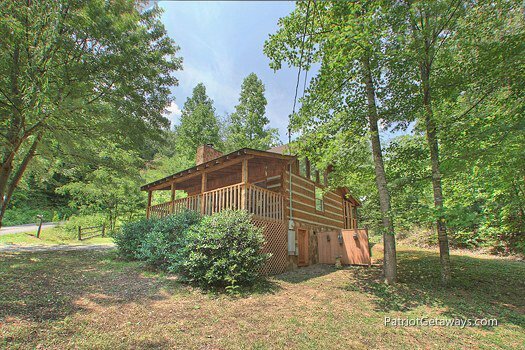 Me and my wife will definitely be going through you all again for our next visit to the smokies, and hopefully this cabin will be available! Thank you so much for a wonderful stay for our honeymoon! It was amazing EARLY 30th anniversary getaway. Loved it. Thanks so much. Awesome agent I delt with her name was Mary. She is excellent! We lived our honeymoon!! Thank you!! 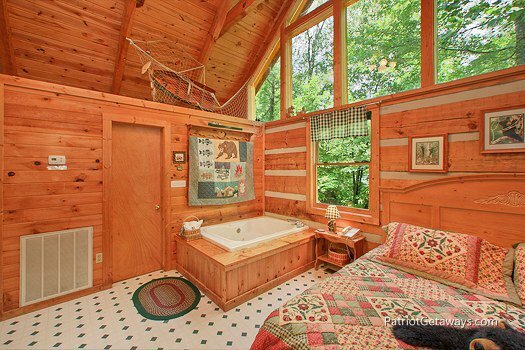 We loved everything about the cabin we stayed in! It was absolutely beautiful, exactly what we were hoping for! Making the reservation and submitting payment couldn't have been any easier, and the staff was professional, courteous and fun to talk to - really made us excited about our vacation! Thank you for one of our best vacation experiences ever! This was my second stay with your company. Will be using you guys again for future stays. Great cabins. We had a great stay at Call of the wild. 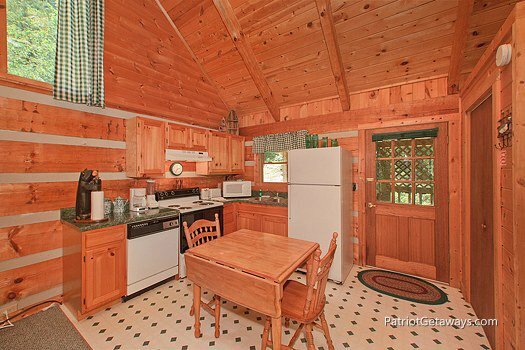 Cute little cabin! Just wish we could have stayed longer. We would definitely stay here again and recommend it to anyone! 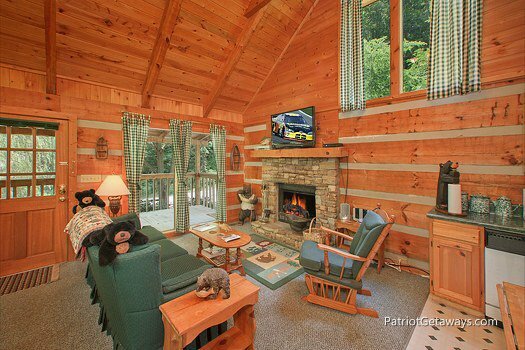 We loved the place and we would definitely use it again for our next vacation in Pigeon Forge. The place was clean and obviously well maintained. If our family would be with us next year, we would certainly call your company again for a bigger cabin. We really liked that we could just call when we arrived and be given a code number to check-in to our cabin. And check-out too! The directions were perfect and we had no problems finding the cabin.